J Gould, Batch Farm Cheesemakers, Somerset. 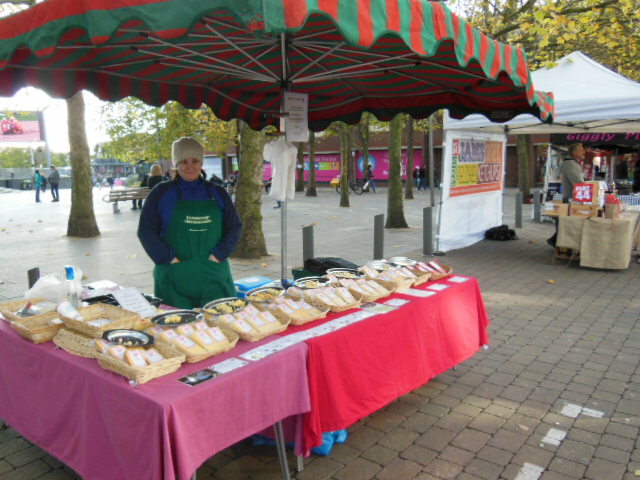 A selection of cheddar cheese of different strengths, we often buy the cumin one. 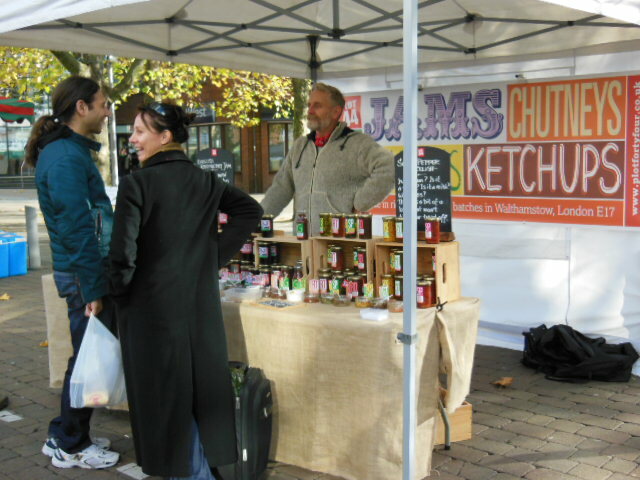 PLOT 44, sells jams and condiments – all handmade in very small batches in E17. 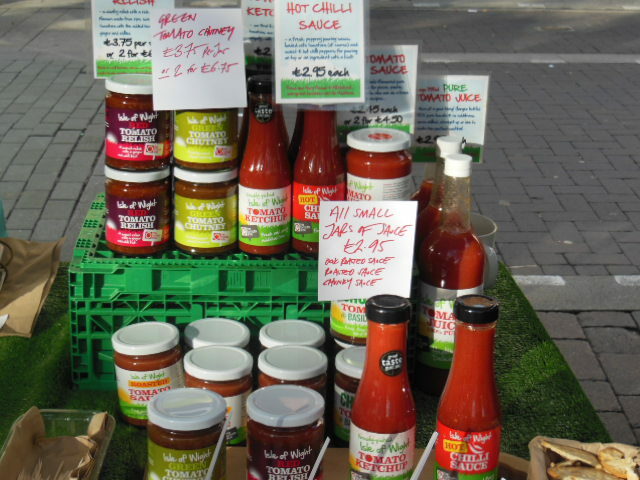 We really like the sweet pepper relish. Sea Fayre sells fresh fish from their boats. 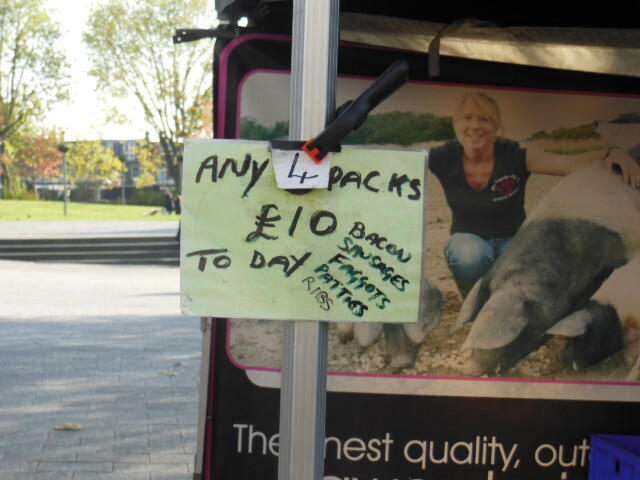 Lovely skate wings at £3.35 each which is a good price. Sometimes they have lobster, crab, whiting, horse mackerel – just depends on the weather and season. 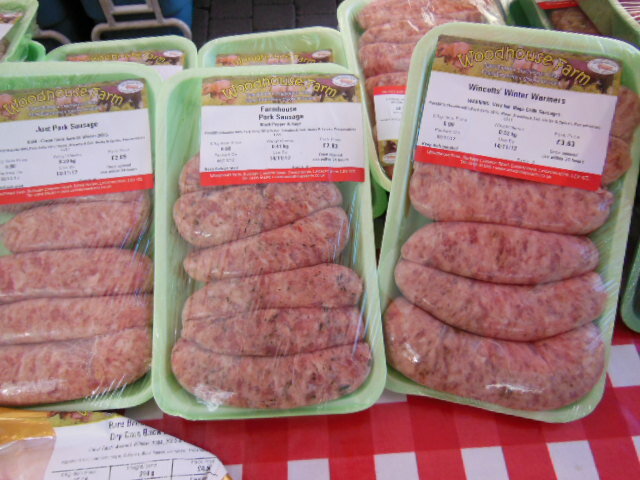 Woodhouse Farm, sells all types of fresh pork. 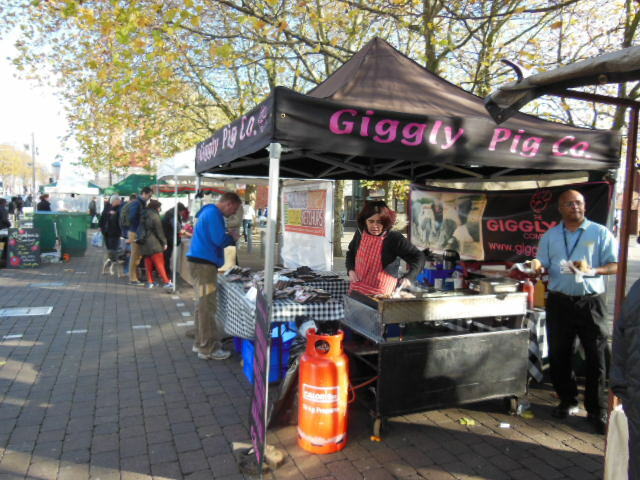 I often buy their Tamworth Cross pork – we love it!